With a BSc Building Services Engineering Degree and BEng Honours Degree, Stewart is widely recognised as one of the most respected authorities in renewable technologies in Scotland. As a chartered engineer Stewart has both practical and academic qualifications covering heating, plumbing, electrical and ventilation products and leads an enthusiastic team dedicated to customer satisfaction. Graham is the founder of Thermsaver and has a background knowledge of the industry that is second-to-none with over 40 years-experience within his profession. Now semi-retired, Graham has become the company “mascot” but is still actively involved in supporting Stewart and the team wherever possible. Graham was instrumental in developing both Underfloor Heating and Mechanical Ventilation with Heat Recovery in Scotland, and was also one of the first to provide remote controlled heating systems north of the border in the early 1990s. 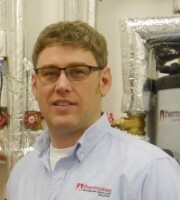 Brian has been with Thermsaver for eight years and has experience in the design and installation of our products. Brian’s strength lies in taking projects from conception and design all the way through to completion and handover, ensuring that we always meet the needs of our clients. 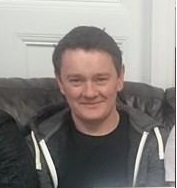 Brian is at the forefront of our project team and also works closely with our partner network. 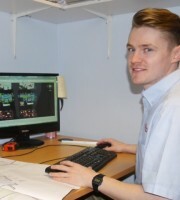 With an HNC in Architectural Technology and five years-experience within an architectural practice, Jamie provides the CAD drawings individually tailored to each project. With an understanding of building design and construction, he also works closely with the project team and our partners. Alan has an HND in Computer Aided Draughting & Design. 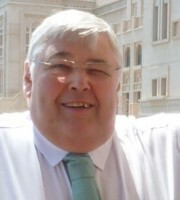 Most significantly though, Alan has experience in customer service within a wide range of business environments. 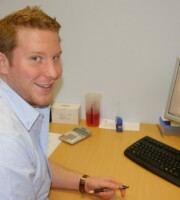 He is responsible for our stock control-dispatch and all aspects of internal administration and Customer Care. “Cheesy”, as he is known, has a BA Honours in Accountancy. During his eight years with Thermsaver he has also had plenty of hands-on experience with our products. This is unusual for an accountant who is also qualified in our Sage Finance system, but it helps give Neil a solid understanding of the company in order to support clients. Neil is also captain of the local rugby team.